The middle of August, kids are back in school, the sun sets earlier and the snow is coming. Ok, not in Florida, but in another month the temperature will drop below 72 degrees. 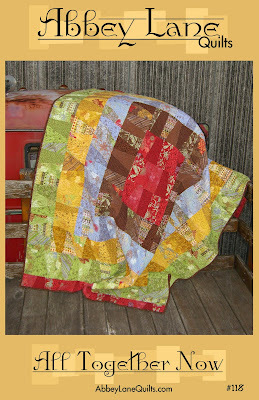 The end of summer also means quilt market is right around the corner, and we are getting ready. So here is our update. First, thanks to all the help on the blog. I am slowly getting it fixed up. I even got a counter to know how many people stop by and I was shocked. There were a lot more than I would have guessed. In the past, we only posted when we had finished products, but it looks like we will let you know more about the "PATTERN BUSINESS" and any new updates on fabric, projects, ect. First, we have been trying to do a COMPUTER BAG pattern. The first problem is, I want to use the bag and so it has to have certain requirements. I travel on airplanes a lot and my computer goes everywhere I do. Not only do I need it to look good it has to be functional. That means great padding, sturdy handles, places for the cords and cd's and all that other stuff. So, night after night I put myself to sleep designing. Finally, I think I have it. So this week, using some great Amy Butler home dec weights. It doesn't hurt to match the fabric up with our cute green apple computers. So this is Project #2 on this week's list. Project #3. We are redoing one of our favorite patterns, ALL TOGETHER NOW. 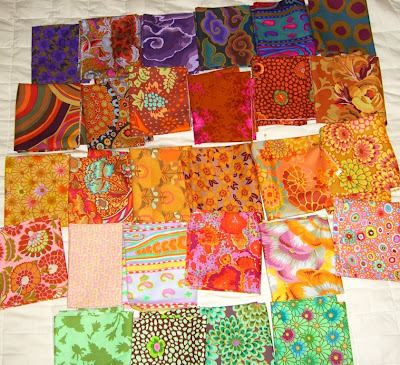 We debating whether to do it in Batiks, a Florida favorite, or Kaffe Fassett fabrics, everybody's favorite. Kaffe won and look at the selection. It will be beautiful. It is fun and easy to make also. Project #1 for the week. The one we are looking forward to the most. 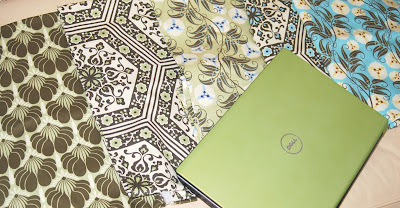 One of our favorite new fabric lines at Market was from Moda. It is called Authentic and will be in stores by September. Some shops are already carrying the small cuts of this line. It is great, sophisticated, interesting and of course, green, black, white and cream. Can't beat that color combination. We will be using it for two projects, a quilt and a project bag. This week it is the quilt. 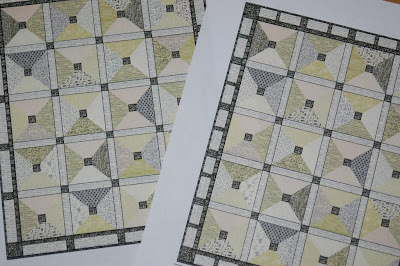 To design a quilt, we start in our heads, then paper, then the computer. This is a couple of the computer designs for Authentic. (The fun quilt name comes last). You should see the finished top by the end of the week, and you can compare the drawings to the real thing. Sometimes changes get made as the sewing takes place. So, we started with what happened to summer. 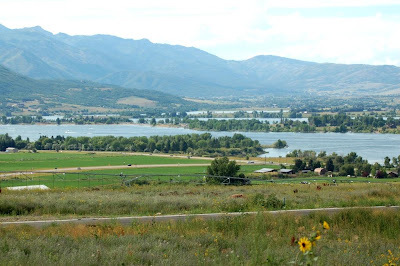 The temperature in Northern Utah yesterday dropped to 49 degrees. Those are January temperatures in Florida. As you know, Nellie, Janice's daughter, and our trusty volunteer employee was married on July 31. I headed to Florida and Janice is heading to Utah this week. I am still waiting for the wedding photos to post a couple, but the picture I can show you is a Florida Native. Everyone went out on the boats to hunt for alligators. We found two. 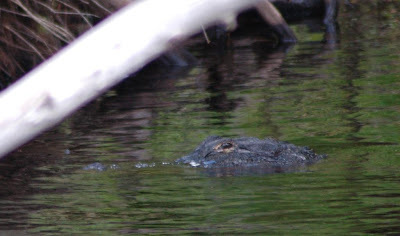 Yes, alligators. We were about 20 feet from this one. Get those projects out and start sewing. We are. Have a great week. 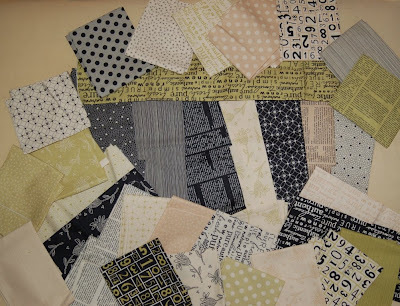 I have seen your patterns at the fat quarter shop and they are delightful. Your patterns are super, love the new line for the computer tote, the green is wonderful. Be thankful you have a full range of seasons, in Fl. its always to sunny and warm.I actually look forward to cloudy & cool. Pics are amazing. You did a great photographic job. Keep it up.